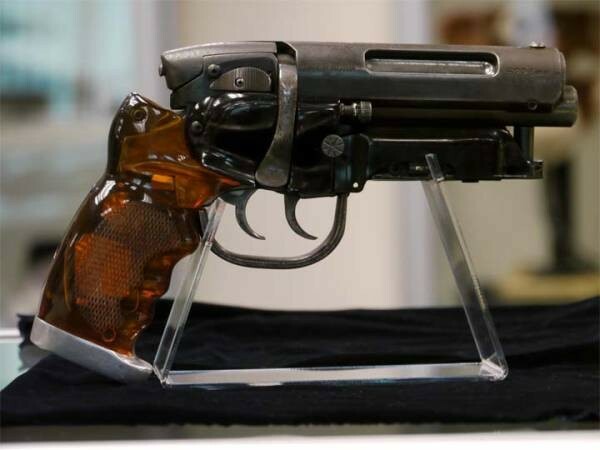 Propsummit.com a Blade Runner Prop Community Forum BladeRunnerProps.comView topic - HCG Tomenosuke Blaster stand options? HCG Tomenosuke Blaster stand options? Posted: Tue Nov 14, 2017 1:12 pm Post subject: HCG Tomenosuke Blaster stand options? I'm sure this has been asked many times before but the search facility didn't come up with anything definitive on this so apologies in advance if I'm covering very old ground. 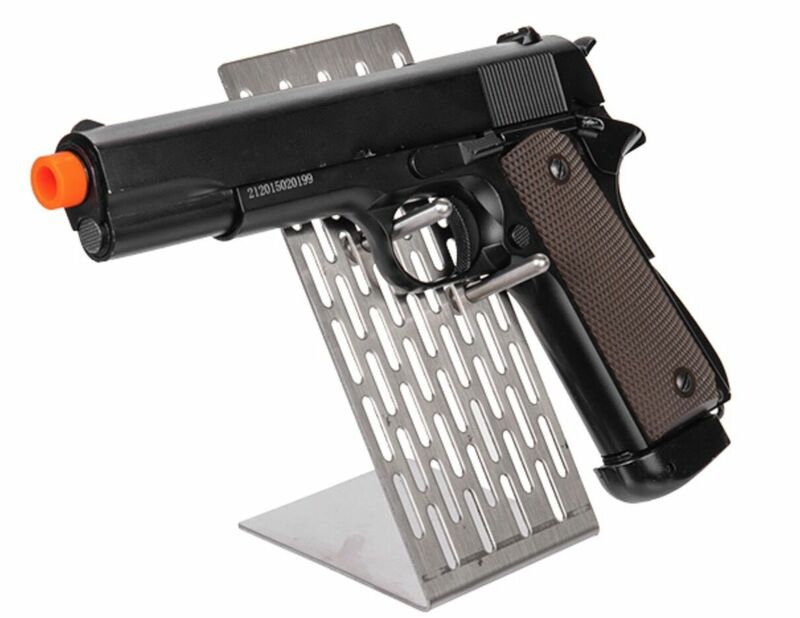 I just bought one of the HCG Tomenosuke Blasters and would like to display it on a stand. What are my options? Does anyone here made a good looking one? Posted: Wed Nov 15, 2017 1:38 am Post subject: Re: HCG Tomenosuke Blaster stand options? 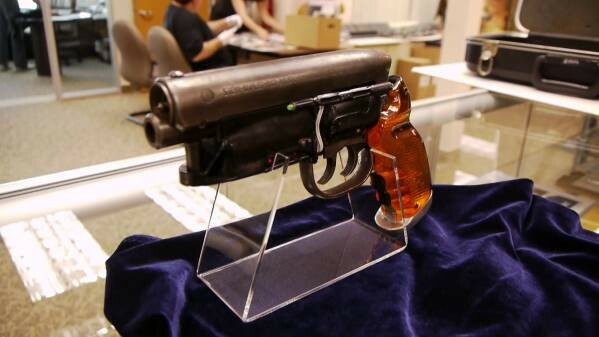 ".....I just bought one of the HCG Tomenosuke Blasters and would like to display it on a stand. What are my options? Does anyone here made a good looking one?....." HCG sell a Blaster stand. Try contacting Mune at Hollywood-Japan if you like. Good to see you here. I'm over here a lot now. Deal direct with Mune as CC said. He's really on the case. Thanks both. I should have said originally that I'm not too keen on the HCG stand, which is why I was looking for alternatives. That said it's not as bad in clear acrylic so I might pick one of them up after all. Does RAC Props still do their clear acrylic version? I rather liked it. I use one myself for my Coyle blaster. Yeah, I like the standard clear acrylic Coyle Stand. Don't see Rich Coyle hanging around this Forum much nowadays. Maybe send him a PM. is kind of cool too. I need to get back to making mine though. They need to be redesigned a bit for all the blasters with longer grips though. 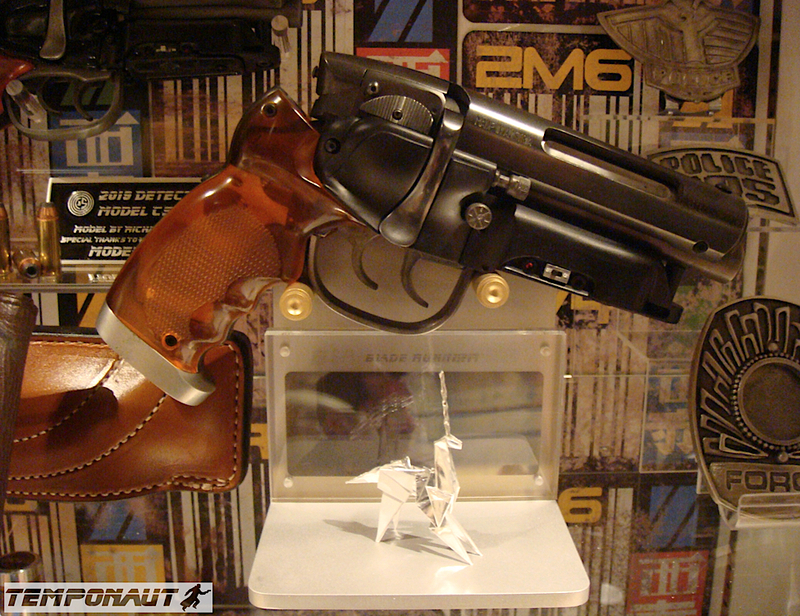 I actually have one of those stands and my blaster is on it at the moment. It's pretty nice but I feel it takes a little of the focus away from the piece. Metal on metal is never a great idea as far as the finish goes. Cheap. Simple. Blaster appears to float. Place to put stand in the middle. These are very similar to the ones I used to do. Had issues with my guy though. Half expected him to start selling them himself. I don't think it is the same guy. Either way I did a lot of finishing on them to let them fit the blaster correctly, and they would be too short for a blaster with a longer grip like a Tomenosuke. There used to be many more photos in the thread, but sadly all but one of the links seem to be outdated. I have no idea whether these stands are still available. But if you like the stand, Harry, it might be worth sending a PM to eltee to see whether he might be willing to accommodate you. How about my blaster stand? From overseas you can buy from HLJ. Excuse me. Now I am out of stock so please give me some time.